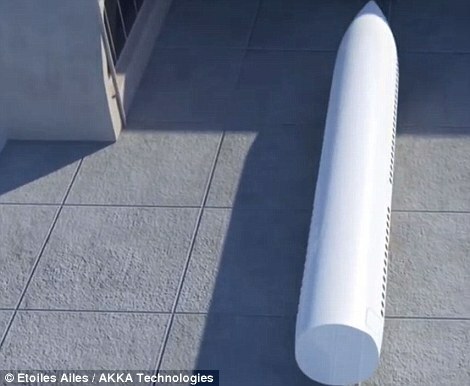 A radical new ‘flying train’ concept could revolutionize the way we approach air travel. 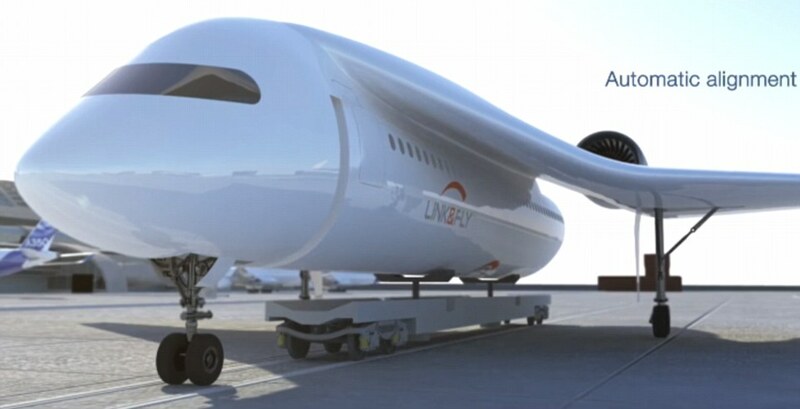 Akka Technologies has unveiled its ‘Link & Fly’ aircraft design, envisioning a modular craft that relies on a passenger pod and detachable wings to speed up the boarding process, and make it easier than ever to get to and from the airport. A stunning concept video shows how such a system could work, with the option to carry either travelers or freight, and transform into a train car that makes drop-offs at local stations. Akka was awarded best-film in the Product Marketing category at the Aerospace Festival Etoiles last fall for its remarkable Link & Fly simulation. 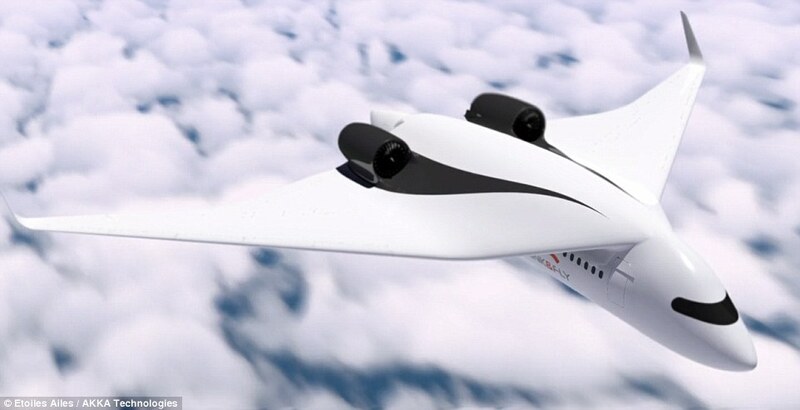 Now, the firm is hoping the concept will catch the eye of aerospace companies who could integrate some of the technologies in future models, according to Bloomberg. 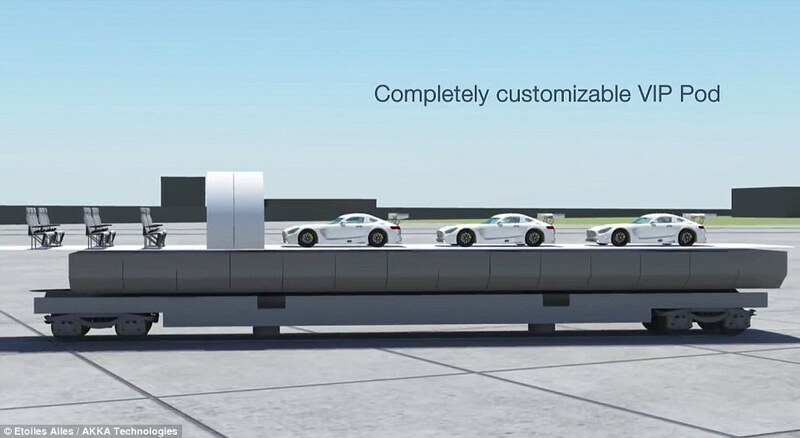 The concept video shows how the passenger/freight pod could be boarded independently from the wings, before being rolled out onto the tarmac to click the whole system together. The pod would attach beneath the wings, which sit waiting with the engines on top. It uses automatic alignment so everything fits together smoothly. 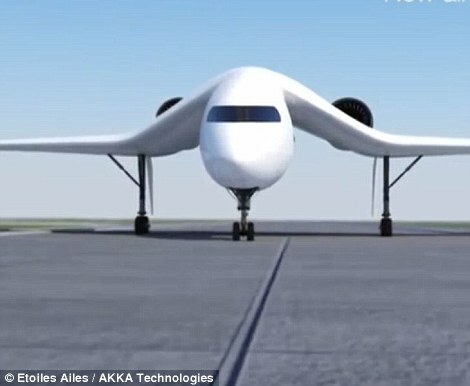 Link & Fly might not come to fruition as a whole, but different components of the design could be used to improve air travel, Bloomberg reports. ‘Planes need to become more efficient, less polluting, and less noisy,’ CEO Maurice Ricci told Bloomberg Quint. The video details a craft that can hit a maximum altitude of 39,800 feet, with a cruise speed of Mach 0.78 (or around 600 miles per hour). 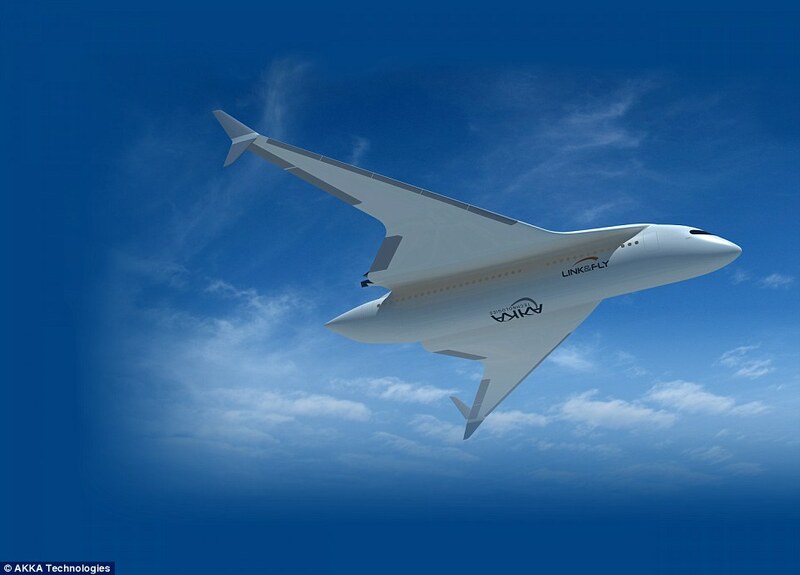 Akka's Link & Fly concept craft measures 33.8 meters long and 8.2 meters high, with a 48.8 meter wingspan. And in freight mode, it could even operate as a drone. Akka’s concept is just the latest in a growing field of modular craft that can essentially go from the skies to the streets. NASA and Uber, for example, revealed earlier this year that they would be joining forces on a flying taxi system that would operate in urban areas. It was also revealed this week that flying taxi startups Joby Aviation and Kitty Hawk have received $2 million in funding from the US military over the last year to get their ideas off the ground.